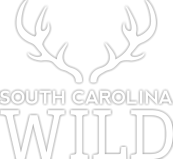 For years South Carolina has hosted an avid biking culture. With so many exciting state parks providing miles and miles of trails, bikers and hikers have a wealth of enticing places to explore. In many cases, these trails are open and accessible for recreational use during three of the four seasons of the year. For those who are simply not willing to hang up their cycles in the winter months, a number of good options remain available. 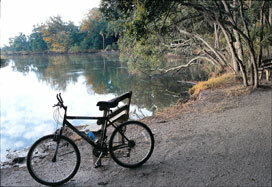 South Carolina's coastline provides bikers with opportunities all year long. In a year-round temperate climate zone, the cycling enthusiast can load up the bikes and hit the road for a one-day excursion in January just as safely and easily as he might in May. In winter months, one excellent destination for a bicycling day trip is Edisto Island's beautiful and mystical Edisto Beach State Park. 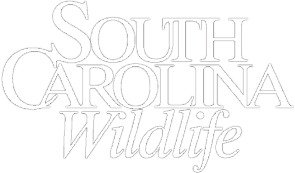 The park is located on SC Highway 174 at Edisto Island, 50 miles southeast of Charleston, just off US Highway 17. From Highway 17, take Highway 174 28 miles to the entrance of the town of Edisto Beach. As you enter the town limits, the entrance to the park will be on your left. The preparation involved in an excursion like this requires simple common sense. A biker should be wearing several layers of clothing, making it easy to shed what may become unnecessary as the heartbeat increases and the day warms up. A T-shirt, a long-sleeved button-down, a windbreaker, socks, sneakers and a pair of jeans will suffice on most days. But just in case, it is best to bring along a sweatshirt, heavy coat and warm hat even if they remain in the car as a back-up plan. The backpack should carry plenty of water, snacks, a portable tire pump and a flashlight. Recommended, though not essential, are a camera, binoculars and rain gear. A stop at the interpretive center or the grocery store a half-mile down the road will make a bike lock a handy addition to the supplies list, as well. Check the local weather forecast prior to making the trek out to Edisto. Remember, the park closes at 6:00 p.m. in the winter. The beauty of this 1,255-acre park is clearly evident in its dense maritime forest and wide expanse of lush salt marshes. But knowing that this place was once home to a thriving Native American culture - the Edisto Indians - adds to the mystique and increases respect for the living history of this land. Winter cyclists of all ages and levels of expertise come to Edisto Beach State Park to take in its beauty along four miles of impeccably maintained nature trails. To better navigate the park, first stop at the office located at the main camping area by the beach for a map and some quick directions to the parking areas. A ranger will direct you to one of the several trailheads, which are easy to get to and offer shaded parking. This initial stop not only provides bikers with the information needed to get started but also offers the perfect opportunity to pay the $3-per-person fee to use the park. The money, of course, goes right back into the park system, so do not forget to pay. There are also opportunities to pay at one of the "iron rangers," which are unmanned and located at most of the park's entrances. The trail itself is divided into several connected sections with wayside kiosks placed at trailheads and wherever two trails intersect. These wayside maps are designed for walkers and bikers who want to limit their expedition to only one or two portions of the full 4 miles of winding shell-hash trails. The trail is wide, smooth and flat for its entire length, so those out for a bit more exercise and challenge may wish to hop on a bike and ride without stopping. One great advantage to riding this trail in the winter months is that the campgrounds are closed beginning in mid-November. This cuts the human population in the park down to a few rangers and some volunteers who might be seen clearing the path of debris fallen from the naked and brittle trees that line either side. In a place so beautiful, on a trail so wide, flat and free of obstacles, a biker can really get up some speed! For those who want to pedal hard and fast, there is no need to stop at the waysides as the trails all intersect, making it next to impossible to get lost. Once the adrenalin rush has been achieved, ride these trails again - slowly. Stop at the Scott Creek bend and lean the bikes against trees. This is a perfect place to pull out some bottled water and a snack, sit on the bench, and marvel at the pristine beauty of undisturbed nature in every direction. A dolphin may even break the creek's mirrored surface, as if intending to make this awesome experience complete. On this tour of the trails, plan on frequent stops. There is so much to see in the tangle of trees, which include live oak, cabbage palmetto, cedar, American holly and yaupon. (Historically, yaupon was made into a strong drink used by Native Americans to induce vomiting. Stop at the interpretive center for much more local lore and woodsy wisdom.) Nests, most abandoned for the winter, dot the canopy. 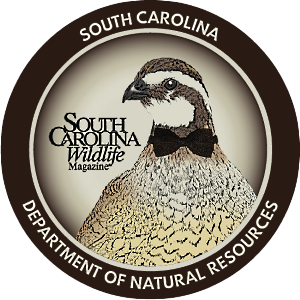 Here in the woods, expect to see the occasional foraging squirrel, Carolina chickadee, or red-winged blackbird. Stand still and appreciate the quiet of the woods in wintertime. The silence may be broken only by the familiar, noisy caw-caw of a crow from somewhere either too high or too deep in the trees to locate. 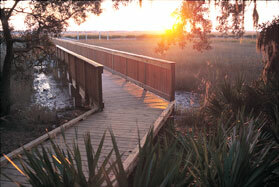 Ride on for a bit and stop again at one of three boardwalks spanning the wide salt marsh. Here, the eye might naturally begin by surveying the clear, vast sky and the distant horizon. Slowly, the gaze drifts through the yellows, greens and browns of high spartina grass a bit closer in and languidly reaches the spiky black needle rush on higher ground. Then, peering over the railing straight down to the moist, black pluff mud below, you can follow trails of periwinkle snails winding their ways among the rushes. Here in the marshes, as in the vine-draped trees of the forest, winter limits the wildlife sightings. Keep an eye out for non-migratory birds in the saltmarsh areas. Not surprisingly, a blue heron or snowy egret might make an appearance. But there is always a chance you will spot the elusive resident bald eagle, out for an afternoon hunt. In these low-lying, marshy fields, the tracks of deer and raccoons indicate that they, too, stay through the winter. 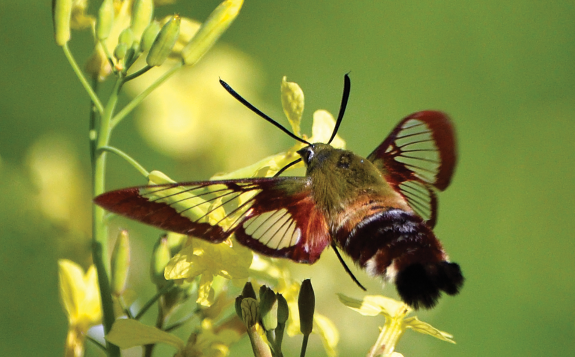 The unfortunate absence of some wildlife in cold weather is tempered by the very marked freedom from those less-desirable creatures native to these woods and waters - snakes, spiders and mosquitoes. The absence of mosquitoes alone may be reason enough to have your Edisto Beach State Park adventure in the cooler months. Whether the bicycle is a beach cruiser, a mountain bike, a three-speed or a tricycle, riding these trails is wonderful! They are perfect for family bike rides, a ride with friends, or even an invigorating (or relaxing) solo jaunt. Though they are an adventure in any season, the trails can be especially enjoyable on a bicycle in the cool and quiet stillness of winter. Mary Heyward Belser is a free-lance writer living in Charleston. Field Trip thanks park naturalist Elaine Freeman for help with this article.